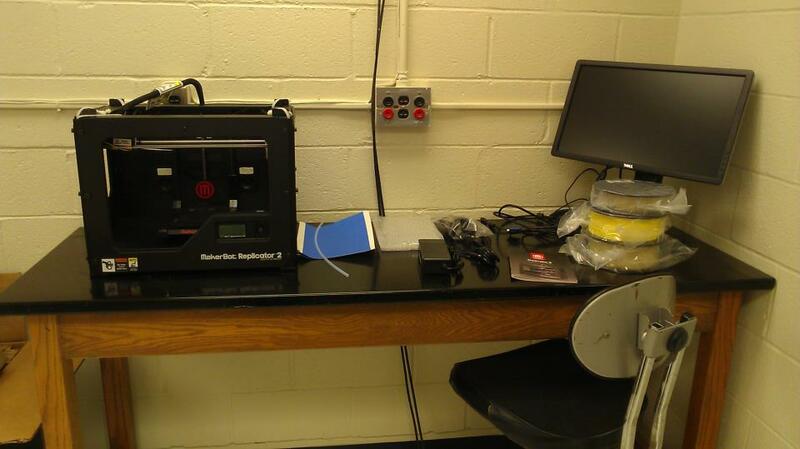 So, one of the things I bought with my start-up funding was a MakerBot Replicator 2.0. I've been interested in 3D printing for a while now, really ever since I saw the results come out of a printer at my husband's CS department at Duke University back in the early 2000s. This seems to be the year of the desktop 3D printer, though, with a huge variety of offerings from different companies at very reasonable prices. I decided to go with MakerBot, since they were well-reputed and printing was supposed to be pretty easy. Unfortunately, so far it's slow going. I'll admit that I haven't contacted their support team yet, but I expected the manual and other instructions with the printer to be much more thorough than they are. Trouble-shooting the printer is a bit out of my wheelhouse, since I'm not particularly mechanically inclined and am very likely to use percussive maintenance on anything that isn't working the way I want it to work. The printer is doing alright at printing linear objects, particularly the sample files that come on a little SD card with the MakerBot. So the comb worked well, the shark, and even the linked chains (which impress a lot of people). 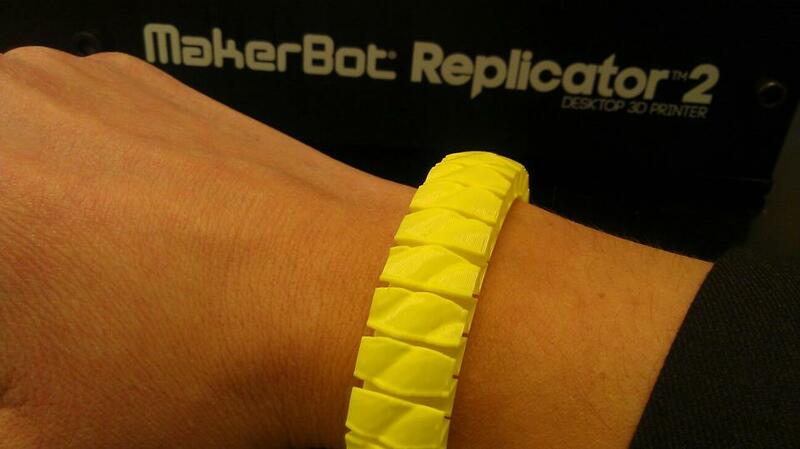 After a few tweaks, I got the stretchy bracelet to print, which my 3-year-old was delighted by (and promptly broke). Printing anything else that's even remotely circular, though, has been problematic. The extruder that lays down the hot plastic seems to hit a snag at least once in every print. In a linear print, this isn't too much of a problem, as the extruder moves on. But in a circular print, it seems to throw off the entire object, and often I have to cancel the build because a bit of plastic has broken off or is dragging around the platform. After my latest attempt to test the printer, it just stopped spitting out hot plastic, so perhaps I need to unload and reload the filament. My ultimate goal here is to digitize some bones in our collection (ideally, the pathological ones) and print replicas of them. Maybe even digitize some Roman bones. These replicas can be used for teaching without worrying that they'll be damaged or lost. Or they can be scaled up, so that it's easier to view small pathologies on small bones. 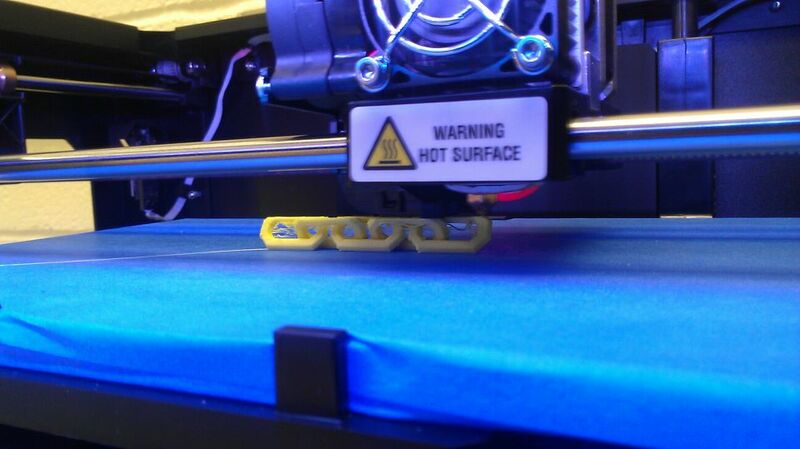 I've got a grad student working on learning the 3D scanner and helping me trouble-shoot the printer. But I thought I'd blog about this, first, to start talking about what I'm trying to do with the hopes that others may have helpful hints, and second, to start encouraging prospective master's students to apply to UWF to work with me. As I just started, I don't have any of my own grad students, so if you're interested in things like 3D printing, new ways of presenting anthropological information, or dead Romans, drop me an email! I hope you will post a follow up when you have learned to master your new fascinating toy, with lots of pictures of bones - both the originals and the 3D copies! For some odd reason I am 'Unknown' when I use my Google account??? Huge Forum for the Makerbot Replicator that you just got.